This event took place at 07:30PM on 27th October 2017. Europe’s most prestigious Burlesque competition has reached it 8th year and YOU can help decide who will tassel-twirl their way to victory! Over the past 7 years budding burlesque starlets from all over the UK, Australia, New Zealand, Italy, Paris and America have tasselled, shimmied and pulled out all the stops in front of our amazing panel of Burlesque Stars and Producers for the chance to win their heat and battle it out for the title of Miss Burlesque Idol at the Grand Final each year. Upon arrival each guest is greeted by our gorgeous showgirls and receives a ballot, while the votes are counted, guest performers from the panel of superstar judges led by International Burlesque Star and producer Miss Tempest Rose take to the stage to entertain the crowd. A high-energy and deliciously entertaining evening, this show is jam packed with talent, humour and audience participation! 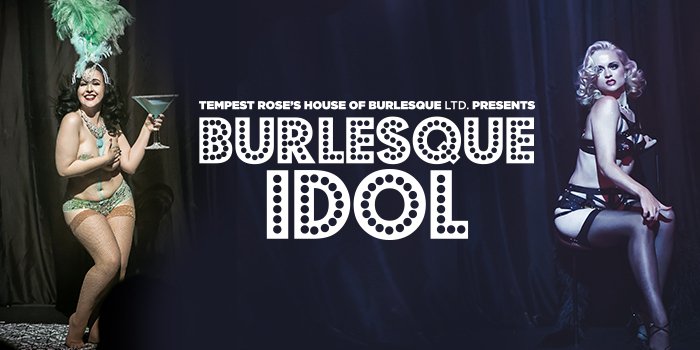 Burlesque Idol is produced by the award-winning House of Burlesque, the UK’s top burlesque production house run by Miss Tempest Rose.